EYEMAGINE's Foundational Assessment Program takes the uncertainty out of your marketing engagement. After we analyze your business, we develop a comprehensive marketing strategy that will define the exact elements of your marketing plan, the investment needed, the ROI expected and the time table in which it will be obtained. It is unheard of for any marketing agency to be able to state with certainty what you should expect from their marketing efforts. 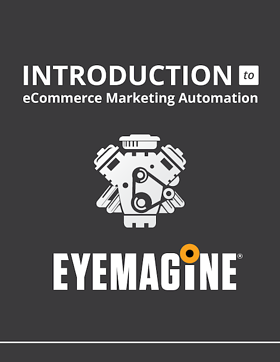 However, EYEMAGINE is not just any marketing agency. We have developed a unique Strategic Foundational Assessment Program that gives our team the insights they need to develop an accurate, results-driven marketing plan. That way, clients know exactly what they should expect from an EYEMAGINE engagement. We live in an uncertain world where all we want is for someone to stand behind their work. EYEMAGINE's exclusive Foundational Assessment Process can take that uncertainty out of the equation. It starts by engaging EYEMAGINE to conduct a Foundational Assessment Program. This is a 60-day deep dive into your business, industry, competitive positioning, and marketplace. Upon the conclusion of that analysis, EYEMAGINE will present a comprehensive marketing plan. This will define the exact elements of our marketing plan, the investment needed, the ROI expected and the time table in which it will be obtained. with your leads and customers to generate revenue 24/7. Achieve true ROI with this free eBook.